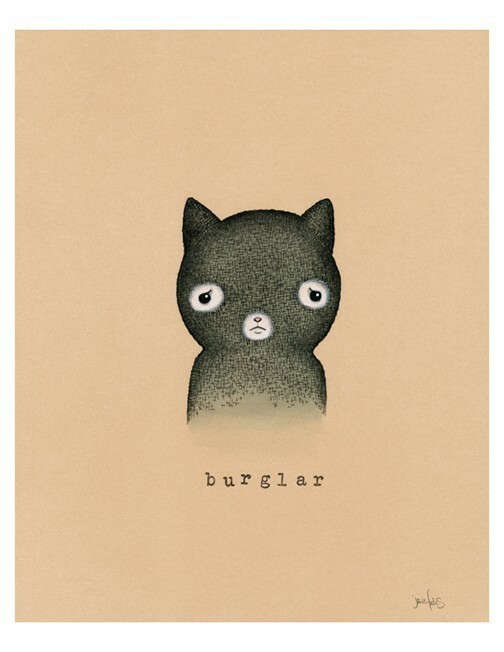 Roland's personal Black Catmonster, Jasper, is getting fixed today and we miss him a lot. It feels strange writing a post without him climbing on the keyboard, accidentally posting things before I'm done writing them. 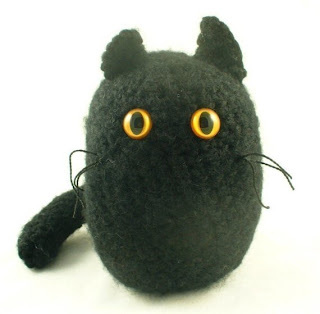 So, to cheer us up while he's away, and to honor his bravery, we've decided to have a Black Catmonster weekend! 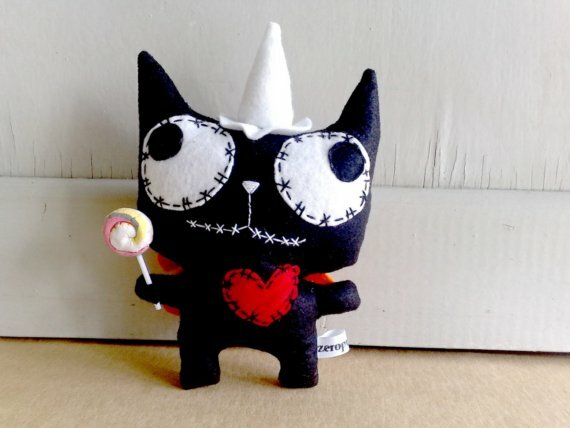 Our first gorgeous Catmonster is from Gush4Plush. Next up, an awesome print from Noosed Kitty. The party Catmonster is from Zeropumpkin Studios, and the little crocheted guy is from Catzilla Crafts! 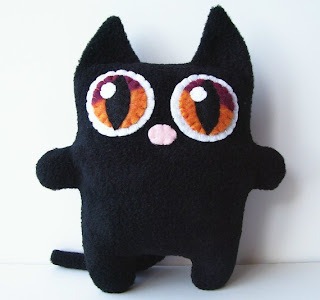 Don't forget to check back tomorrow for more Black Catmonster excitement! ooo I love the first one, the purple and orange eyes are awesome!